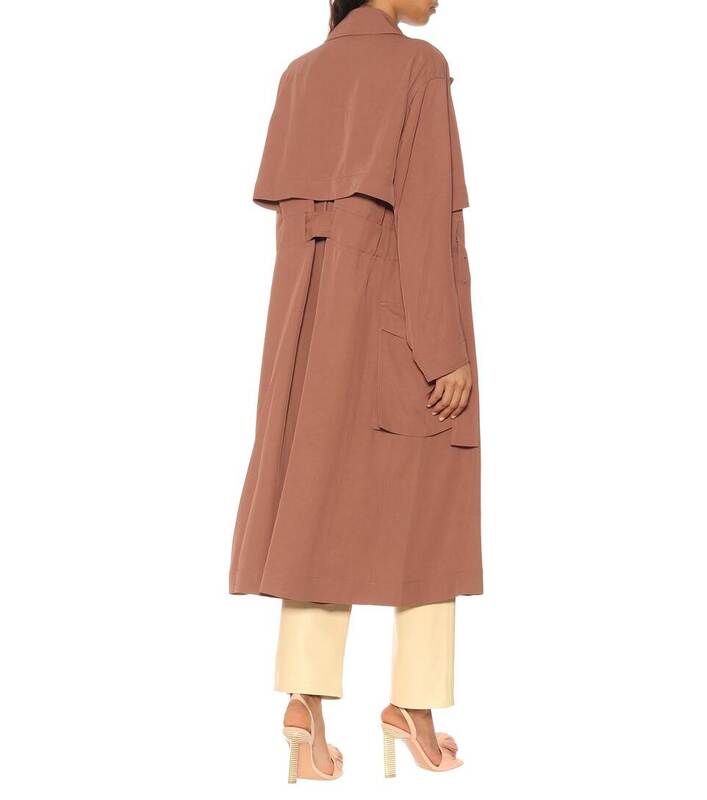 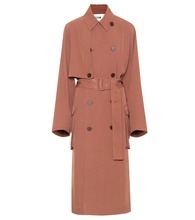 This trench coat from Acne Studios effortlessly demonstrates the label's modern disposition. 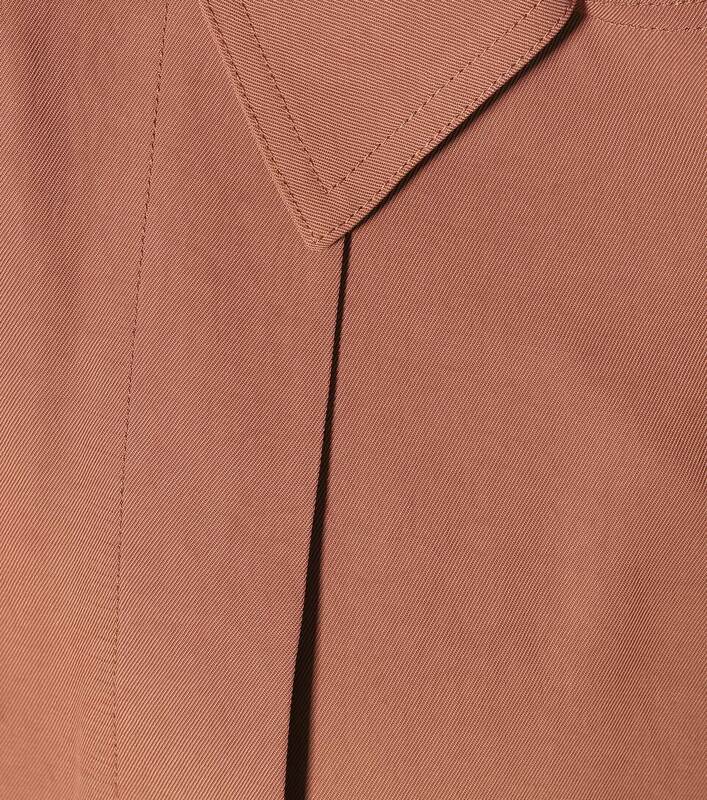 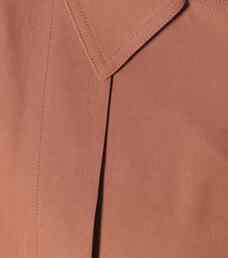 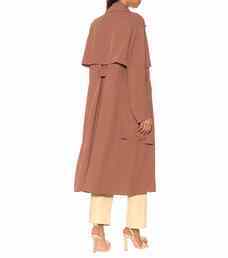 It is made from dusty pink twill with a rain protector that drapes across the back and around one side at the front. 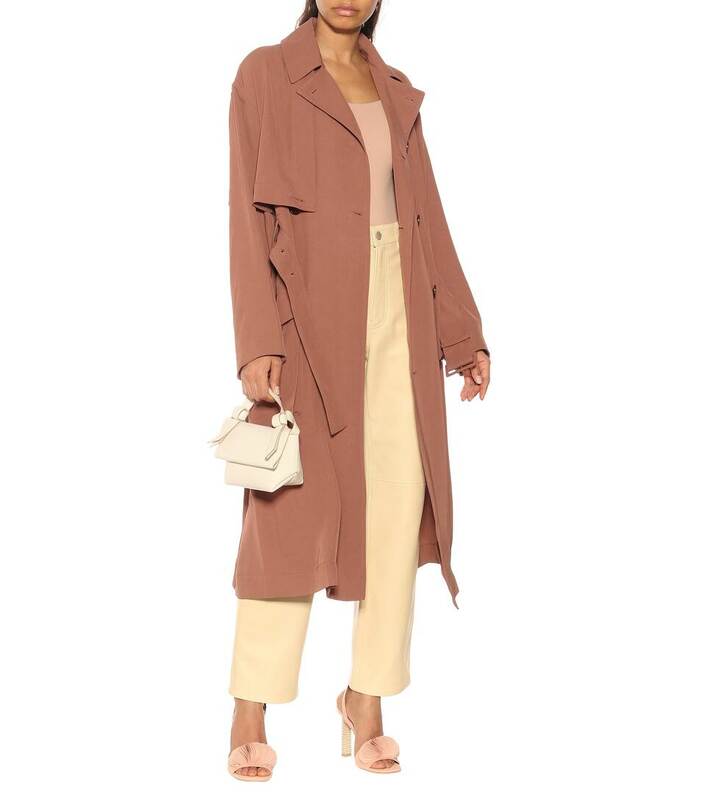 Classic details, such as the double breasted closure and waist-cinching belt, combine with contemporary elements – the slouchy side pockets for example – to create a swoon-worthy design you need for your spring edit.